On this day – cross border collaboration and creativity in action! 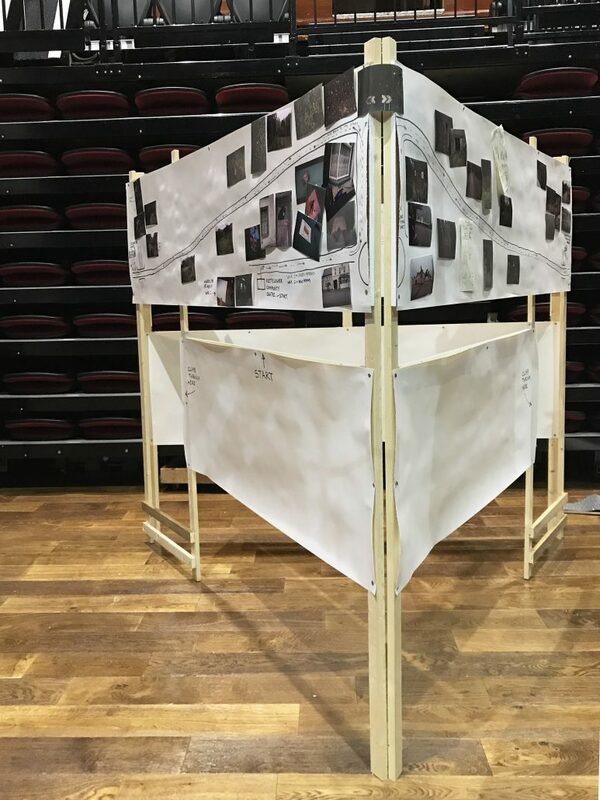 The Across the Lines cross border youth project has provided an opportunity for young people to work with their own drama leaders and be a part of a wider drama grouping, to learn under the creative direction of our able team of local drama leaders and Paula McFetridge and Carlo Gébler. Local drama leaders Declan, Sally and Tori have passionately brought to this production a variety of theatrical influences and drama style including physical theatre and creative chorus interpretations which have been cleverly and artistically integrated into one coherent production – about to take to stage. Engaging with ‘the old SLNCR line’ has allowed us all to recognise the railway’s past existence and present importance to the region. Holding the railway at the centre of this project has provided an excellent “platform” (excuse the pun!) 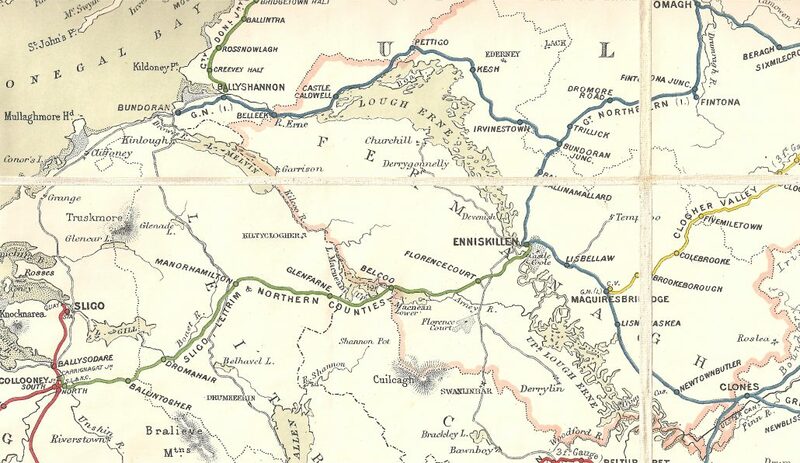 for a younger generation to engage with the older generation and to develop an awareness of living history and a shared heritage between the counties and on both sides of the border, and to consider cross-border journeys today. The Manorhamilton based artist Séamus Dunbar has helped us think about the issue drawing on his own artistic practice of ‘walking in the landscape’ as way of getting to know the place where we are. 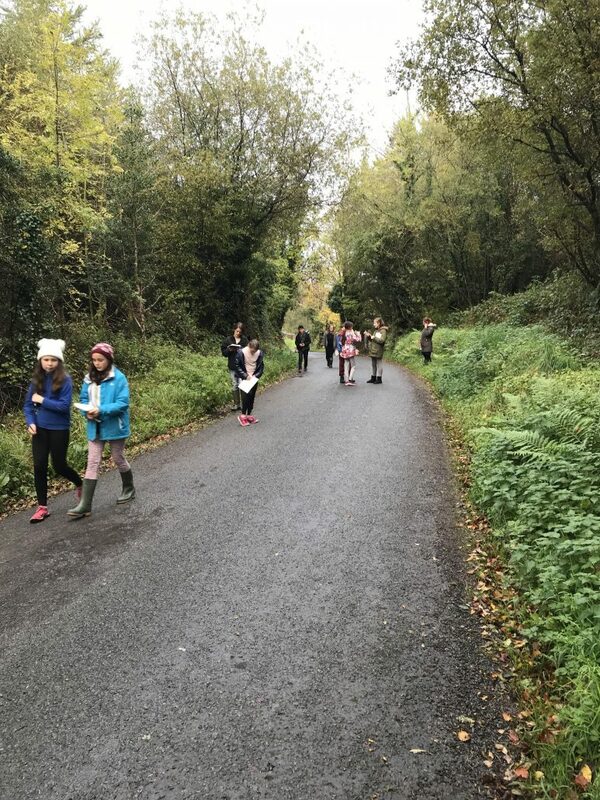 Séamus led young people in two cross border groupings on a border walk taking young people ‘out of their own comfort zones’ to explore the place and meaning of the invisible border for themselves. They noted and drew their observations, mapping the landscape for themselves and together creating a master map. them, and the SL&NCR was one of them”. of things that connect people (like railways but not just railways)”. It has been a unique and wonderful opportunity to have the Enniskillen-based memoir, short story writer, novelist and playwright Carlo Gébler work with young people on this project. Most of Carlo’s previous work is written for adults, however he also brings a wealth of experience from many years teaching creative writing across Ireland, including from Young Offenders Centre in Co Antrim to Trinity College and the American College in Dublin. This production has also been an opportunity for young people to learn about theatre, back stage and in this production Enniskillen student Erin Webster takes on the role of stage manager for the production. Tickets can be booked for The Glens Centre performance here on Saturday and the Ardhowen performance here on Sunday.